Who remembers the classic, Mr. Potato head? He was easy to play with and could keep you entertained for hours. Not only can our kids still play with Mr. 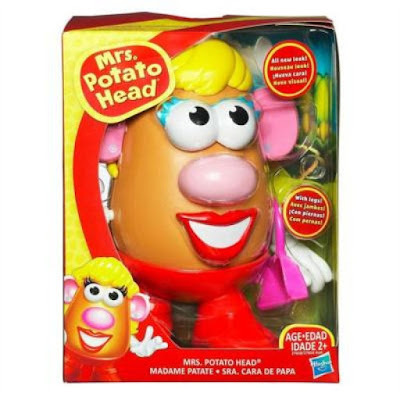 Potato Head, but there are so many different versions of this toy, including Mrs. Potato Head. With Mrs. Potato Head, you can create a funny face, grab an arm and a leg, and never stop laughing. The more mixed up the combinations are, the more fun your kids will have. 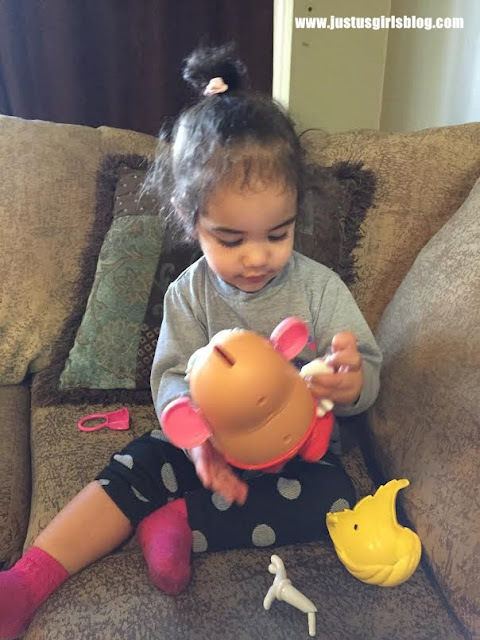 My little girl had the opportunity to play with Mrs. 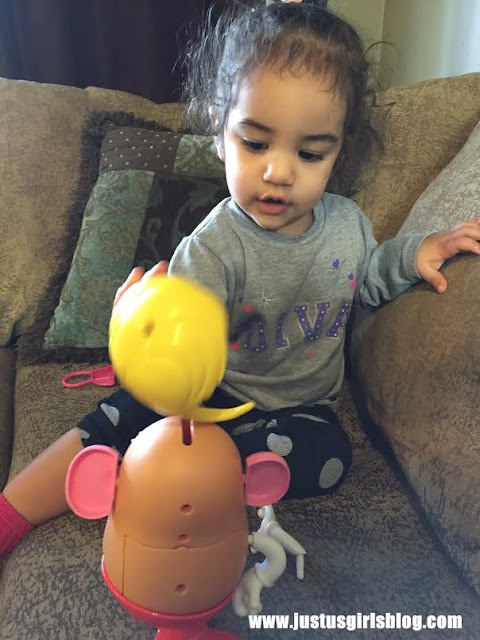 Potato Head and she has been loving the toy. It keeps her busy for hours taking the pieces off and on the potato head. Not only did it keep my 18 month old busy, but my 8 year old also loved playing with Mrs. Potato Head. It was great seeing both of them play together. 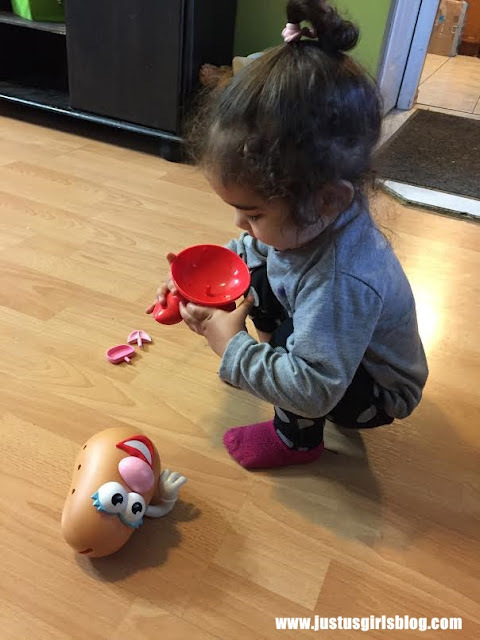 This toy also helps encourage development of Fine Motor Skills, Creativity, Social & Emotional Development and Imagination for kids, which is definitely a bonus. Mrs. Potato Head retails at $10.99 and can be found in most stores selling toys across Canada. For more information about Mrs. Potato Head and other Hasbro toys be sure to head over to www.hasbro.com.